Enjoy an amazing picnic, festival, or camping all the more with our classically designed picnic backpack! Make your picnic a truly memorable event with our beautiful picnic backpack. 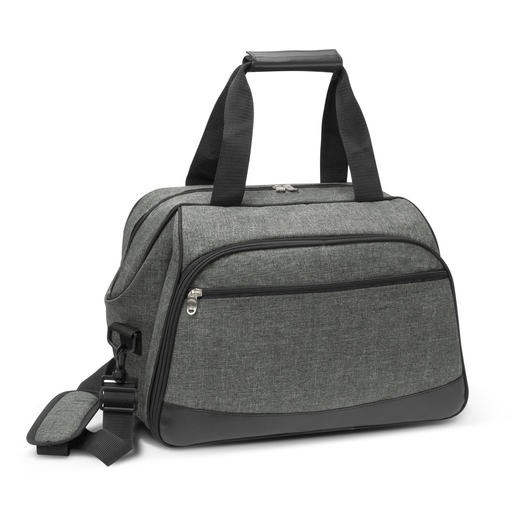 Made from sturdy poly-canvas woven with different coloured fibres to create a very fashionable "heather style" two tone fabric. 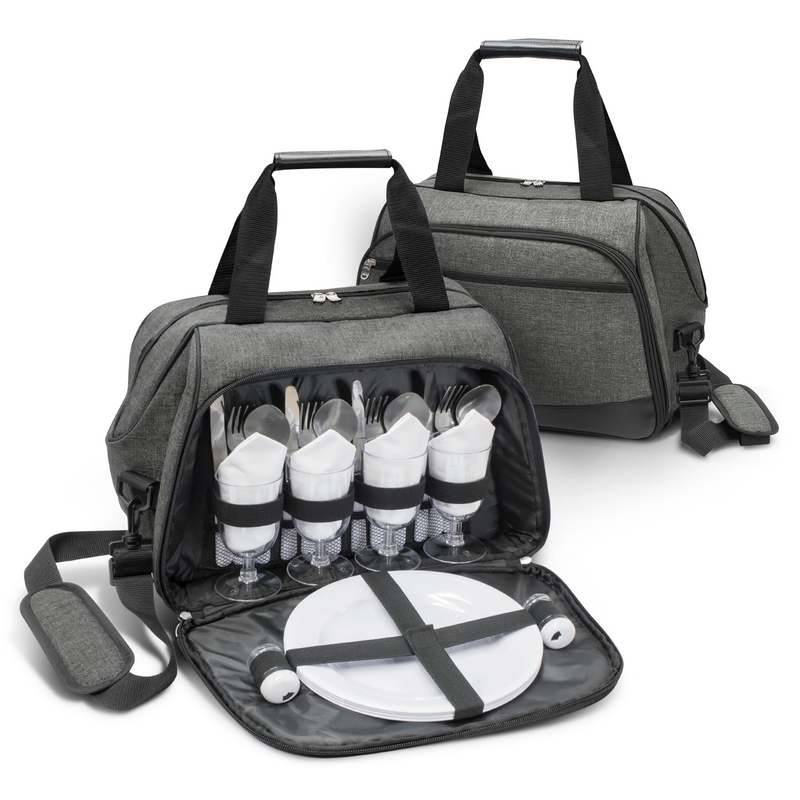 Has a large zippered cooler compartment lined with thick PE foam insulation encased in a waterproof PEVA inner liner. 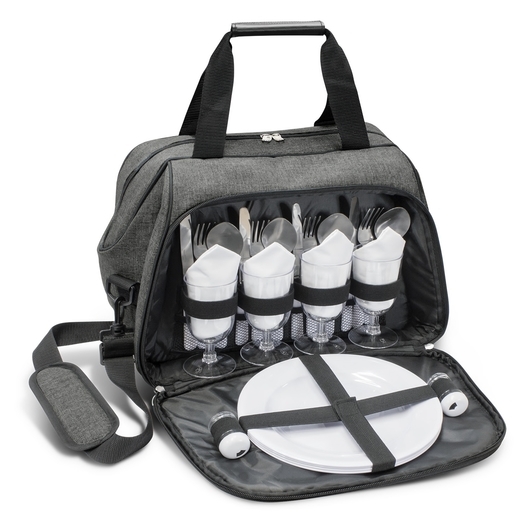 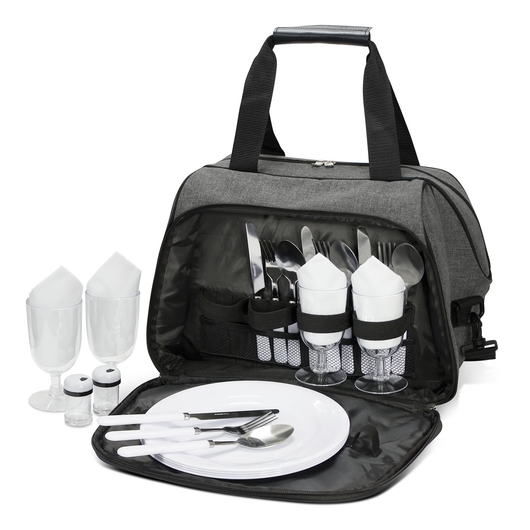 The side compartment has a zip around closure allowing it to open out to 90 degrees revealing plates, cutlery, napkins and glasses for four people with salt and pepper shakers. Also includes an external zippered pocket, carry handles with a PU/Velcro wrap, adjustable removable shoulder strap, and a comfortable shoulder pad.